The best hot chocolate I ever ate! February 14, 2011 HAPPY VALENTINE’S DAY! 1. In a small pot add 1 c. organic unsweetened almond milk and bring to a simmer. 2. 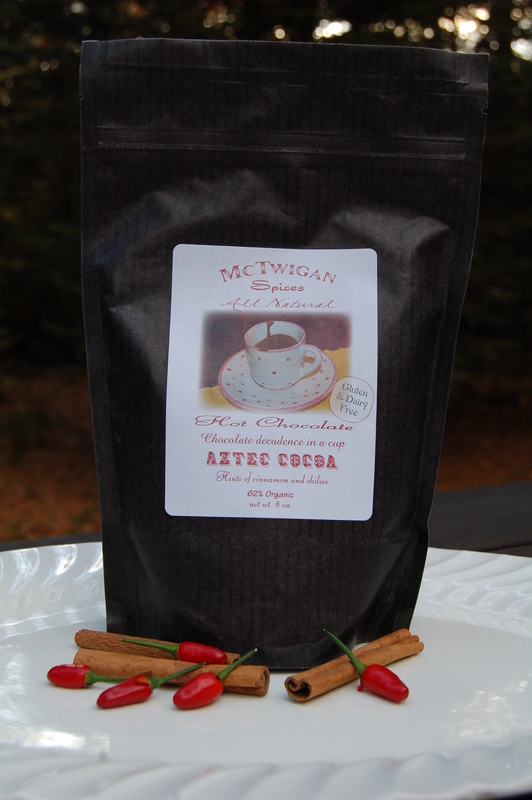 Add 1 heaping t. Heavenly Cocoa from McTwigin Spice and whisk thoroughly. 3. Enjoy! This dark cocoa mix is organic, sugar free, and guilt free. It’s sweetened naturally with xylitol and is gluten free. This entry was posted in healthy, holistic, Uncategorized and tagged best hot chocolate I ever had, sugar free guilt free. Bookmark the permalink.